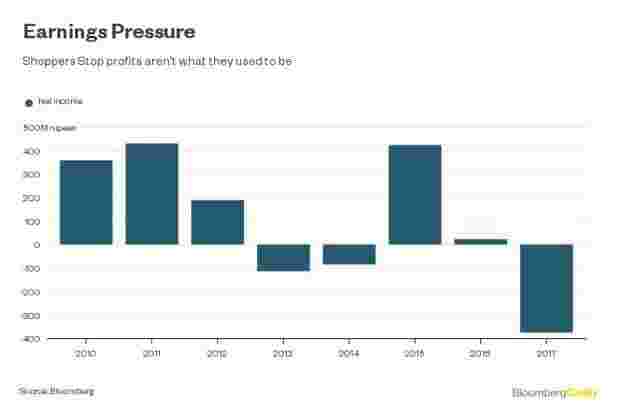 Pity Wal-Mart Stores Inc., Tesco Plc and Carrefour SA. The three Western supermarket giants have plonked down hundreds of millions of dollars over the past decade to expand their retail chains across India. Now Amazon.com Inc. is about to establish a larger bricks-and-mortar presence than all three combined at a cost of just $28 million. In the 95 minutes it takes Amazon to make that in revenue, the e-commerce behemoth’s 5% stake in Mumbai-based Shoppers Stop Ltd gives Jeff Bezos access to 80 shopfront locations across India, with 20 more to come. The size of the outlay is ironic given that Wal-Mart had promised to bring thousands of jobs to India, only to be blocked by politicians intent on keeping foreign retailers out of the country. Carrefour left altogether in 2014, while Tesco has limited its operations to assisting a local retail chain with merchandise and technical support. Wal-Mart, meanwhile, doesn’t sell directly to consumers. Rather, it has 20 wholesale-only outlets, although the company says it will add 50 cash-and-carry outposts over the next five years. In India, Amazon now gets to tinker with its newfound obsession of selling stuff in shopfronts, without the pressure that accompanies bigger investments such as its $13 billion purchase of Whole Foods Market Inc. in the US. Outside of cash, Amazon is offering Shoppers Stop space on its website, from which the latter expects sales will boom, managing director Govind Shrikhande told Bloomberg News. Shoppers Stop needs the help: Two years ago, Shrikhande envisioned online sales would account for 20% of turnover by 2020; now that goal is 10%, up from a current figure of 1.2%. Investors applauded Monday, sending Shoppers Stop shares up as much as 20%. While Amazon, Flipkart Online Services Pvt. Ltd and Jasper Infotech Pvt. Ltd’s Snapdeal appear to be in an all-out dash for share of India’s e-commerce sector, the US retailer is really only taking the first steps in a marathon. 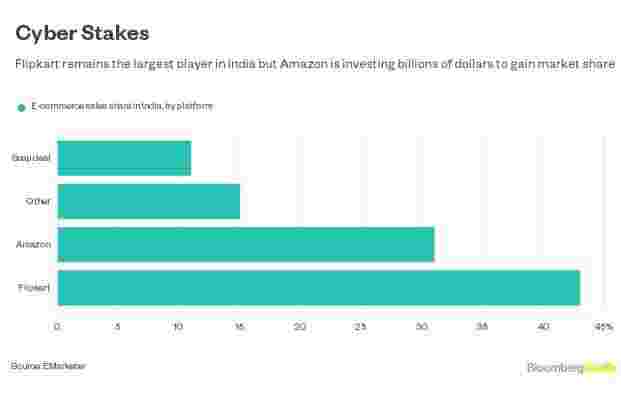 An interest in a company with $732 million in annual revenue is small fry versus the 41 warehouses Amazon currently has in India and the $5 billion Bezos has pledged to invest there. But Shoppers Stop can become Amazon’s test bed for what works and what doesn’t in an emerging market where consumer behaviour is unique. The very fact that almost 99% of Shoppers Stop revenue doesn’t come from online shopping makes it the perfect supplier to Amazon of customers yet to embrace e-commerce. Amazon can use these shopfronts not only to introduce its brand, but to understand why people haven’t shifted online, and how to convert them.